Fashion designers have always been arbiters of style, but as they increasingly encounter issues like copycat designers, counterfeit imports, calls for consumer safety and environmental sustainability, and even bans of various forms of dress, designers need to know and help establish the law as well. 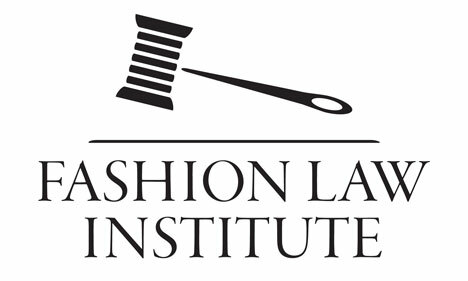 Opening September 8, the Fashion Law Institute is a new center at Fordham Law School in New York that will train and advise designers, lawyers and design students in areas of the law affecting the fashion industry. The first of its kind in the world, the center has been established by Fordham in partnership with the Council of Fashion Designers of America (CFDA) and is being directed by Susan Scafidi, who pioneered the field of fashion law (and who blogs at Counterfeit Chic). The institute will provide a resource for legal knowledge in subjects like business and finance, intellectual property, real estate, employment law, international trade and government regulation, consumer protection and civil rights. The institute will have a special proximity to its subject; New York Fashion Week relocates this fall to Lincoln Center’s Damrosch Park, steps away from Fordham Law School. Pentagram’s identity for the institute graphically fashions a gavel from a needle and spool of thread. The mark is the latest in our collection of identities for New York’s fashion community, which includes logos for the CFDA, 7th on Sixth and the Fashion Center. Bloomsbury Institute for Pathogen Research.